Hypnobirthing Australia™ provides a uniquely Australian hypnobirthing childbirth education course which draws upon the teachings of many natural birthing advocates from throughout history and the world and has been developed by Melissa Spilsted. The Hypnobirthing Australia course is the most up-to-date, Australian hypnobirth program available and we know that you are going to love it! Scroll down to read our Course Outline – and you will see just how comprehensive our classes are! Ensure that your Practitioner is certified with the ORIGINAL blue seal for Australian hypnobirthing standards. When attending our course; you will receive expert tuition from a Certified Hypnobirthing Australia Practitioner (look for the original blue seal to ensure that your Practitioner is trained to the highest Australian standards). All participants are provided with a professionally printed folio of resources that are suited to Australian’s and our models of maternity care. In addition to this, you receive several professionally recorded world famous Australian accent practice tracks, eBook & practice video – to assist you in your preparation for a beautiful, calm and positive birth. The course and techniques are all especially designed for Australian mothers and their birth partners; and our models of maternity care. The modern, up-to-date birthing videos that are shown in classes are recent and from Australia, New Zealand and the UK (no 20 year old videos in our classes!). You can click here to read more about why Hypnobirthing Australia provides the BEST hypnobirthing training in the country (trigger warning: we’re not modest in this article! lol). The Hypnobirthing Australia techniques are down-to-earth, straightforward and easily learned. Birth partners often become hypnobirthing’s greatest advocates after attending classes; because we ensure that our classes are relevant, fun, interactive and informative. Hypnobirthing is often taught in four classes of three hours or alternatively over two full days. Private sessions are also available – please contact your closest practitioner for details. If you cannot attend face-to-face classes (which are always the preferred option, but we understand that it isn’t always possible to get to classes) then we have online course options also available. Demand the best for your baby’s start in life, because you only get one chance to birth your baby. You want and deserve this to be the best birth for you and your baby. 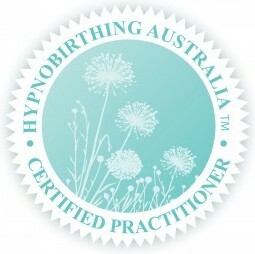 Contact us now and experience the Hypnobirthing Australia™ advantage. When is the Best Time to Attend Hypnobirthing Classes? Mum’s often ask us, when is the best time to attend classes? We answer – anytime is possible! The main thing is that you have the opportunity to learn these techniques before you birth. Many couples who have attended class, even much later in pregnancy, have achieved excellent results. In fact, Melissa Spilsted first learnt hypnobirthing techniques at 37 weeks, herself – so it can be done! Having said that; the ideal time to start is between 20 and 30 weeks of pregnancy. This gives you ample time to practice the techniques leading up to birth. If you are further along than this though, please don’t worry. Determination is the deciding factor when it comes to hypnobirthing success. Please feel free to contact your closest practitioner to discuss more intensive training options if needed. Here is an outline of what we cover in our Hypnobirthing Australia™ classes.